Home > Events > JSL Game On! Learn to make a game using coding software. 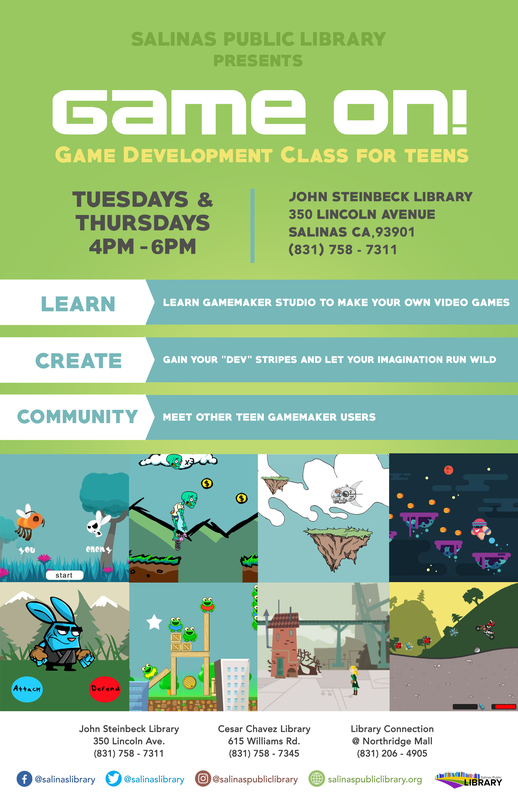 This program will run weekly on Tuesdays and Thursdays from 4-6 p.m. for teens who want to get some marketable job skills in game creation and have a little after-school fun.